The difference is whether landlord and tenant are obligated to stay to one another. In a tenancy at will, either is free to end the relationship with notice given 30 days or one full rental period in advance (whichever is longer). Lease agreements are helpful only if there’s a serious downside to having someone leave within a year. When people talk about rental agreements, they often use the word “lease,” but it’s very important that you know which one you’re using. The forms downloadable on this site have numbered paragraphs that let you easily compare sections. Many sections are the same for the lease and the tenancy at will. The lease page points out differences by paragraph number. 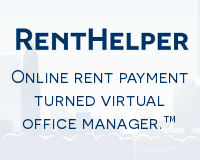 If you want to see the list of forms that will complete your rental package, visit our forms page. 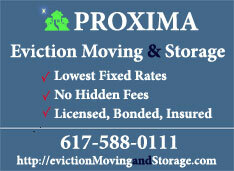 Or click here to jump right to a downloadable tenancy at will or a lease. 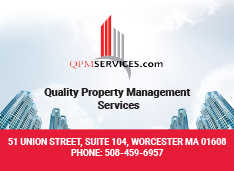 What Happens if you Don’t Use a valid Massachusetts Rental Agreement? 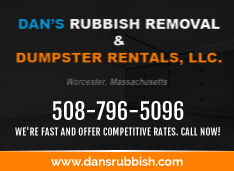 In Massachusetts, you can wind up with what’s called a “tenant at sufferance.” If it comes to an eviction, the process of giving notice may be faster, but in every other way “tenant at sufferance” is a worse state of affairs. The judge will use their knowledge of the law to determine who wins in any difference of opinion. Odds are good that as a landlord you will be looked down upon if you don’t have your paperwork in order. 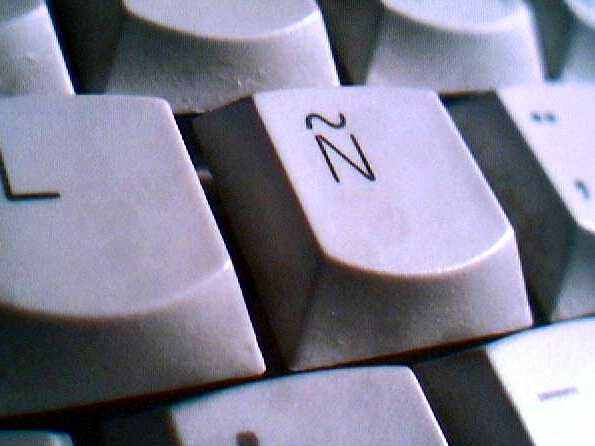 How to Convert Your Lease to Spanish Language, Or Should You Even? When you have a moderate to strong ability with Spanish, and your clientele prefer Spanish as their primary language for home and business, doesn’t it make sense to offer a Spanish language lease? If so, how best should you convert your existing lease to a Spanish language lease? Can you use Google translate or an app? The following is a paraphrased summary of a message board conversation. Being written in English, this article necessarily reflects English-speaking bias. There are many services available that purport to offer automatic or real time translations. Sometimes, these services delight and amaze. Try the following Google search: ‘what’s spanish for “i don’t speak spanish”.’ Google will report, “yo no hablo español.” That gets the job done! Now imagine this same conversation about your “jointly and severally clause.” Google translate won’t cut it. If you must have a Spanish lease in Massachusetts, hire a landlord-tenant attorney who practices and drafts Spanish language legal agreements for Massachusetts. Note especially that Puerto Rico law derives from a Spanish as opposed to common law British tradition and is quite different! 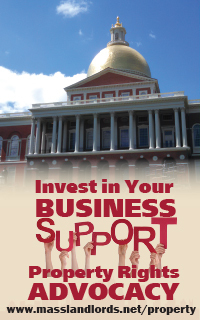 You cannot use out-of-state agreements in Massachusetts. Should You Even Have a Spanish Rental Agreement in Massachusetts? Agreements understood are agreements unbroken, right? This is why we worked hard to make our Massachusetts rental agreement use short sentences, easily understood phrasing, and no “whereas, heretofore, wherefore art thou Romeo”. The logical conclusion to this approach is that your lease should be in Spanish or whatever language best suits both you and your renter. If you ever end up in court, however, the judge or an attorney may need to read your rental agreement. They may need to compare it against the law. The law, especially security deposit conditions statements, stipulates specific wording in English. Don’t blame us, blame the Massachusetts legislature! Your judge may speak only English. Your attorney may speak only English. You can’t easily have two enforceable copies of one agreement in two different languages because they might conflict. So you have to pick a language and stand behind it, or at least designate one language as primary. If you choose Spanish as the sole or primary language of drafting, then you may need to wait for translation services for court actions and decisions. The advice given to members at one event by one judge was as follows. Prepare your documents in English only. Permit the renters to use translation services of their own when applying, signing, and doing everything else that affects their rights. MassLandlords does offer one Spanish language form on our site: the phone screening prompt sheet. This is not a legally binding form. It is primarily intended to help with screening and conversations that can easily take place in Spanish. Note that some local legal aid and nonprofit groups will provide translation services free. You will need to call around (or have your tenants call around). Some owners find it in their business interest to have translation services on staff or on speed dial. They may even provide translation as cost of doing business. We’ve seen this in larger operations and in majority non-English markets. The discrimination laws do not compel you to offer Spanish services, but they may compel you to accommodate reasonable requests for translation-related delays. The key decision, then, is whether and how you want to pay for translation. Option One: Pay for an attorney to draft a Spanish agreement up-front. If you end up in court with that Spanish agreement, prepare to pay for translation delays or for non-compliance with a law written only in English. Option Two: Keep everything English-language, and pay for in-office translation as cost of doing business in your market. Option Three: Keep everything English-language, and offer no translation help. In any scenario, you will still need to accommodate reasonable delays for renters seeking to use their own translation services. Even if you have Spanish leases or Spanish-capable staff, you might still receive an application from a Bhutanese family speaking Dzongkha, for which your staff were entirely unprepared, the dismissal of which could be unlawful discrimination on the basis of national origin. All things considered, Option Three may seem the cheapest and the most comprehensive. Just remember that without any bilingual staff or services, you may not out-compete other landlords depending on your market. A little of Option Two will go a long way. 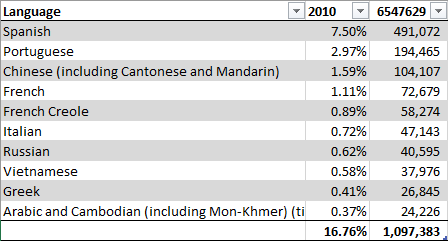 For your reference, the table shows the 2010 state-wide percentages of non-English languages spoken in Massachusetts. How should you convert your lease into Spanish? Hire an attorney. Should you convert your rental agreement into Spanish? Probably not. For most owners, it will be better to offer or permit translation services. Do you have a Spanish rental agreement? Tell us how we could improve this article, email hello@masslandlords.net.